Nexdim Empire » Blog Archive » NEWS: FORMER “STAR DE DEMAIN” WINNER ACHALLE IS DEAD ! NEWS: FORMER “STAR DE DEMAIN” WINNER ACHALLE IS DEAD ! It’s immensely sad Cameroonian star singer Ashaley (Achalle) is no more . He died at the Limbe District hospital yesterday , Wednesday 27th 2016 after suffering from a protracted liver disease. He was the first winner of Star De Demain in 2006 that made him garner fame across Cameroon and later clinched a nomination at Kora Awards following the release of “Feeling insecure”, Bunya and more scintillating songs. His biggest asset was his melodic voice. 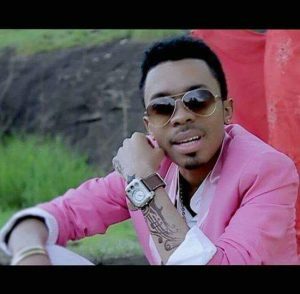 He was later absent from mainstream music scene for a while until few months ago that he unveiled a soul-searching song titled “Ebolo” . He later got very ill. The industry was been in a state of shock as the news went viral on social media. Artists and fans have shown solidarity and regret. We shall give updates on the funeral program.